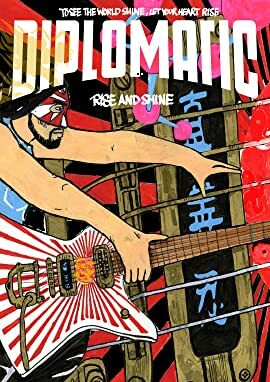 Rise & Shine is the first graphic novel and record by electro funk-rock artist Diplomatic. 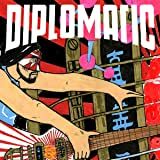 Through words, pictures and music, he shares his deeply personal transformation into a real-life superhero with a humanitarian mission. Told with the aid of medical journals based on actual meetings with a psychiatrist, the story reveals how Diplomatic overcame the inner turmoil of his early life by embracing the spiritual practice of Falun Gong. Since his awakening, he has dedicated his musical talent to helping end the ongoing persecution of his fellow practitioners in China. The music from the book is available to download or stream, but the work can be enjoyed as a stand-alone graphic novel as well.